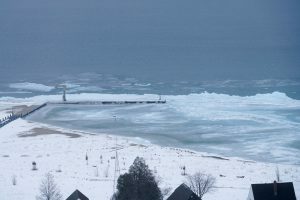 Lake Michigan in winter on South Manitou Island’s Life-Saving Service Complex National Register District, Sleeping Bear Dunes National Lakeshore. Photo Credit: Brendan Stainfield, U.S.C.G. Traverse City, Michigan. The long cold winter is finally coming to an end on the Great Lakes and hopefully wherever the rest of our readers live as well. Winter really didn’t get churning until early February in the “Mittens of Michigan”. Once it got started the cold wind, polar vortex temperatures, snow, and ice sheets started piling up on shore. Now that spring is here, there are daily reports of the Coast Guard Ice Breaker out getting the Straits of Mackinac open so that vast numbers of freighters will soon be seen plying through the Manitou Passage off of the Sleeping Bear. Thank you to the Traverse City U.S.C.G. 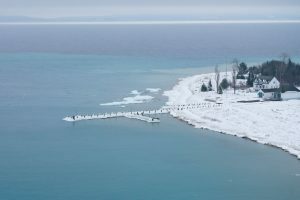 who fly over the two islands off of Sleeping Bear Dunes National Lakeshore and send updated photos to the park each winter. It is greatly appreciated. These photos were taken to check the dock conditions and to determine amount of dredging may be needed prior to the camping season on the islands. Getting to see that the lifesaving structures survived the winter is always a pleasant sight as well. It is important to repeat this story again and you will see it in the next few Life Lines just to get the word out. I will abbreviate the story over time as the project continues and readers are more aware of this ongoing project. 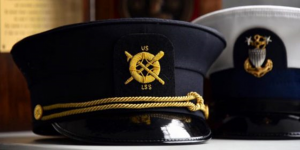 You should know that the USLSSHA is aware that several other members of our organization have done research on specific stations in regards to developing a surfman registry. 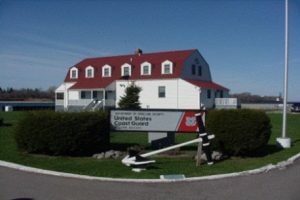 The goal of the USLSSHA’s National Surfman Registry Project is to have a complete roster for all of the USLSS Stations from their beginning through the 1940 time frame. Our goal is to have a field on our website where anyone could search for a relative or see who served at a specific station or potentially follow an individual’s career. If you are working on a similar project please let us know so that we can share the format that we have created for this project. By using a standard format, it will allow us flexibility to search on specific criteria as we go forward. Presently, the research data is being given to board member Steve Marthouse who is creating the individual station files. 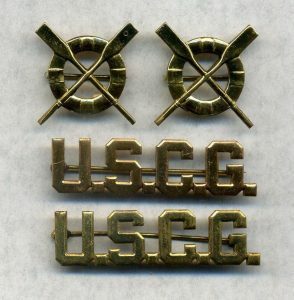 Member James Charlet is looking for sources for the Keeper’s Hat Insignia. It can be a replica or an original, he is just looking to source these when needed. If you have or know of a source please get in touch with James. The staff of the historic Indian River Life-Saving Station are inviting people to experience the 1800s, with lantern-lit museum tours and a locally-sourced dining experience. 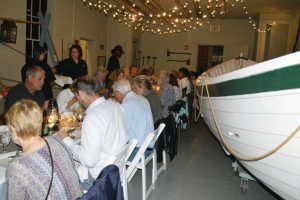 The Savoring Our Coastal Heritage Dinner is inspired by what the life-saving station’s surfmen may have been eating around the turn-of-the-century, and will be hosted Saturday, April 27, at 6:30 p.m.
More than 100 years after the men stopped working at the Life-Saving Station 30 in Ocean City, John Loeper believes it is time that each one of them should be recognized for their sacrifices and heroism. 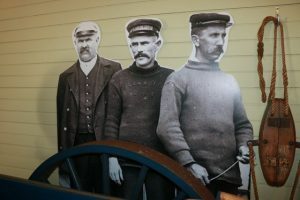 The station, located at Fourth Street and Atlantic Avenue, formally opened to the public as a museum last year to showcase Ocean City’s history with the U.S. Life-Saving Service, the forerunner to the U.S. Coast Guard. 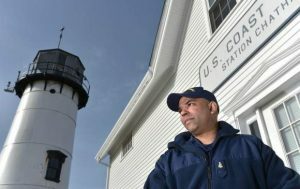 New Coast Guard station chief Carlos Hessler’s last posting included Depoe Bay, Oregon, where vessels must navigate waves breaking through a hole cut in a 40-foot high rock wall to get in and out of a tiny harbor. The 2019 Annual Conference and Meeting will be in Rochester, New York. The dates are September 26-28, 2019. The conference hotel is the Holiday Inn Express, 850 Holt Road, Webster, NY. They are holding 20 rooms for us: 10 with double queen beds and 10 with a king bed. Dates for the reservations are for Wednesday, September 25 – Saturday, September 28. The nightly rate is $119 plus tax. 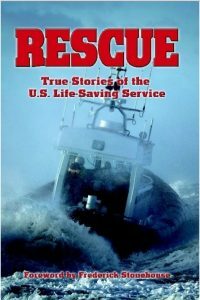 To make reservations, call 585-872-0900 and tell the front desk you are part of the US Life-Saving Service Heritage Association. The hotel offers a free breakfast; and is located close to a pond with walking trail.